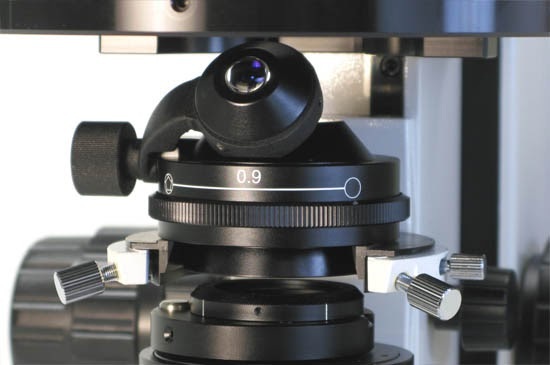 Polarizing microscopes are used to view minerals, drugs, chemicals, rocks and geological particles. 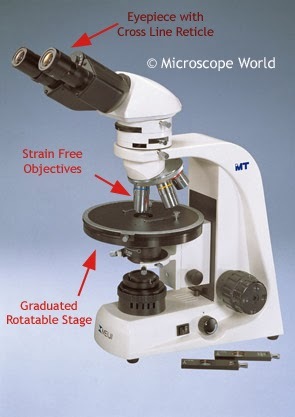 But what exactly makes a polarizing microscope different from a biological microscope? 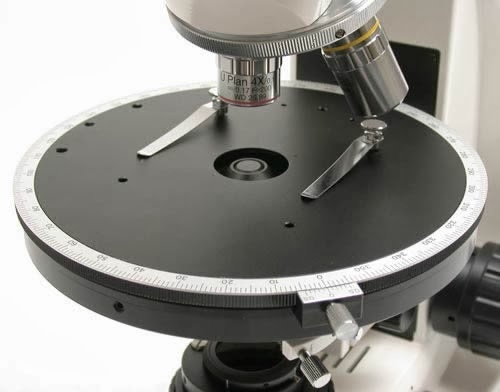 Polarizing microscopes have one eyepiece equipped with a cross-line reticle. 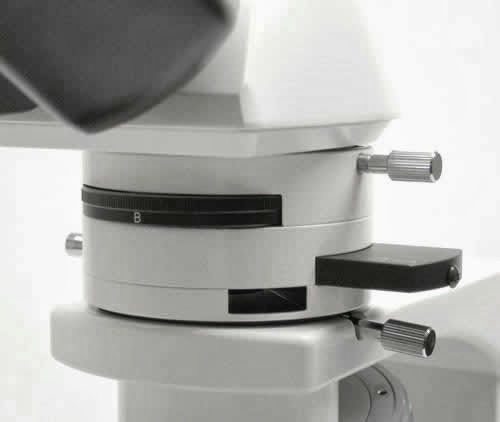 Below the eyepieces in the body of the polarizing microscope is the Bertrand Lens, which can be swung out or slid in and out of the axis tube. The Bertrand Lens is used to analyze the back focal plane of the objective. The analyzer rotates at least 90°. The 1/4 Wave Plate or Quartz Wedge is used for analytical work. 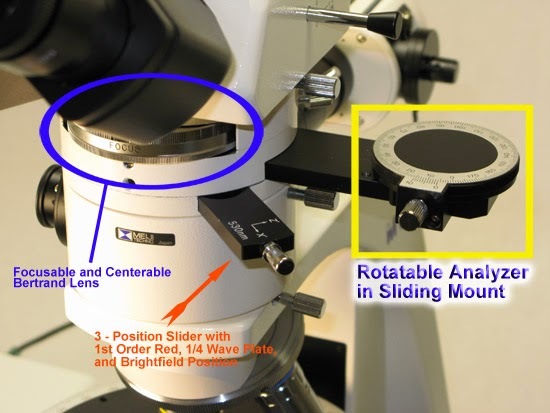 Compensator and Retardation Plates are included in many polarized light microscopes with a slot to allow the insertion of compensators and/or retardation plates in between the crossed polarizers. These are used to enhance optical path differences in the specimen. Strain Free objectives and a strain free condenser are used, which contain anti-reflection on the glass parts. The strain-free design precludes the setting up of mechanical stresses in the glass elements by special glass selection and/or construction of lens mounts. The anti-reflection films enhance image contrast and reduce possible disturbing interference patterns at the glass-air interfaces. The substage contains the condenser, iris diaphragm, carrier for a polarizer, and sometimes an additional carrier for a sensitive tint plate. The rotating stage is graduated in degrees. A vernier is included to permit reading of angles to the nearest tenth degree. Polarized light microscopy is capable of providing information on absorption color and optical path boundaries between minerals of differing refractive indices. Contrast-enhancing techniques reveal detailed information concerning the structure and composition of materials that are very useful for identification and diagnostic purposes.